HOPE HOUSE is a faith based charity center, initiated by the late Bishop Louis Ncamiso Ndlovu in the Catholic Diocese of Manzini, and officially opened in April 2011. 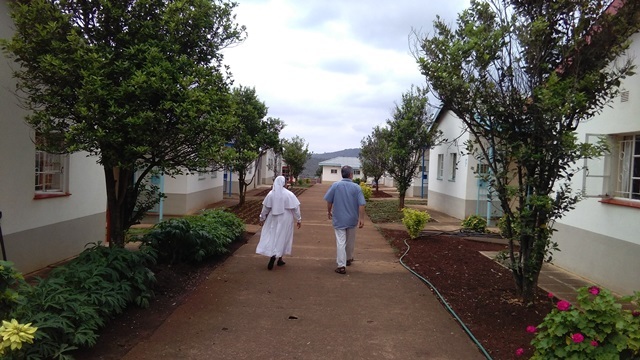 It is a part of Caritas Swaziland’s HIV and AIDS Program, serving as an hospice facility. 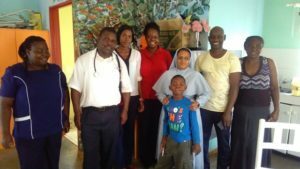 In this regard the center serves as a half way between hospital and home for those in need because of the terminally ill, HIV/AIDS and HIV/AIDS related illnesses, regardless of their faith. Our main objective is to alleviate the physical, psycho-social and spiritual suffering of the terminally ill, through the provision of a quiet environment, palliative care, nutritional advice, counseling and companionship. The holistic care, comfort and user-friendly services are provided by a small group, including the Program Manager, palliative care nursing staff and gardener, who work closely with the caregivers and the housekeeper. Hope House provides a counseling service for patients and their carers, and a training of caregivers on how to support the person with a terminal illness on discharge. The Center comprises 25 self-contained and furnished units, including a kitchenette, toilet and shower. Each unit can accommodate 2 people, the patient and his/her carer such as a friend or relative. We also have a children’s unit who work in collaboration with the Rocking Horse project; a physiotherapy unit with a part-time physiotherapist and a part-time medical doctor to assist our patients. This project is really crucial to all HIV/AIDS destitute patients who are discharged still in critical conditions in hospital which leads families to find themselves with ill and depressed patients without proper care at home. HIV/AIDS patients come to us with stroke, cancer, TB, and blindness, but this is not the end of life. People can live with their disability if they can behave well and continue their medication, supported in a safe, quiet and familiar place. We work in collaboration with Cheshire Home, who collects who need physiotherapy by their transport with a minimum fee, Ammicaall, the City Council, MYC, RFM, Good Shepherd Hospital, Mbabane Govt. and like-minded organizations. We thank all the generous people who come to support us all the time, providing donation or spending free time with our patients; the Government for the free ARVs and Anti-TB drugs; all the priests or pastors, according to the church which our people belong, to give them spiritual assistance.